Cassandra Potts Hannahs is a historian with special expertise in Celtic, Viking, and Anglo-Norman studies. 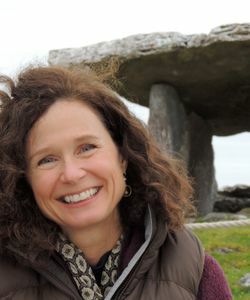 She has enjoyed traveling with Smithsonian Journeys on more than 50 tours and cruises, sharing her passion and knowledge of Great Britain, France, and Ireland. With a Ph.D. in medieval history, she was a tenured professor at Middlebury College in Vermont, where she taught courses on a wide range of subjects, from ancient history through the Reformation. A Fulbright scholar and recipient of several grants, she has also spent considerable time living in France pursuing research. Her publications include a book exploring the Viking settlement of Normandy in northern France during the 10th and 11th centuries, and the revival of monasticism that took place as the new rulers encouraged monks to return to the region after the Viking raids. In her research and lectures, Cassandra explores the cultural and political exchanges that have historically linked Britain, France, Ireland, and Scandinavia. She looks forward to sharing her love and knowledge of these lands, their history, music, and literature, with Smithsonian Journeys travelers. Cassandra was such a wonderful leader in every way. Her lectures and knowledge of Ireland's history, literature, and music added so much to the quality of our trip. On top of that, she was delightful to travel with. Cassandra was always available for questions and her lectures were excellent, adding to our enjoyment of the trip. Her lectures linked history with the music and poetry of the periods making them come alive, by tying items in the lectures to artifacts seen and sites visited, she helped us see many things we would not notice; giving us a better understanding of the culture and history of Ireland. A very impressive scholar and personality who connects and clearly articulates myriad details and trends in a smooth, understandable flow of history. Very responsive to a wide range of questions. Combined with the tour director, she made our trip something very special and memorable. Q. As a historian, what is your main goal as a Smithsonian Journeys Expert, and how does it compare with teaching in a classroom? A. My first priority is to help our travelers appreciate the places we visit in terms of their broader historical and cultural significance. And in a sense, this can be more challenging to achieve on a tour than in a classroom since the things we encounter on our journeys are usually not in chronological order. We might begin the day at a Georgian mansion and then visit a medieval castle, followed by a neolithic tomb. Moreover, a single site will often have witnessed important events at different times, so there are layers upon layers of significance. Grasping the order of things is the first step—it’s like drawing a map of the past, one that starts out fairly simple but gains depth as we travel and fill in details. Controlling chronology might be easier in a classroom, but going to these sites ourselves makes them and their pasts meaningful in a personal way that no classroom experience can replicate. Q. What do you add, specifically, to our tours to enhance their intellectual component? A. During our journeys, I offer a combination of lectures and informal presentations to explain how the places going to and the things we’re seeing fit into the broader framework of the past. 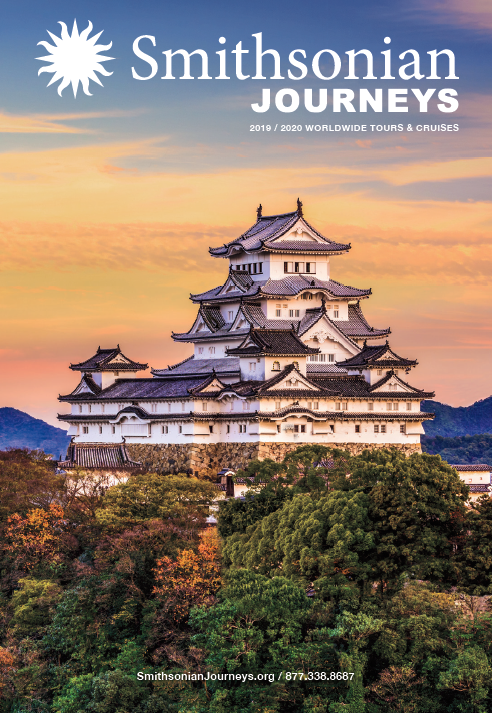 Using images of the sites we visit helps reinforce the experience of being there. I provide outlines of my lectures, as well as timelines and bibliographies. To add insight into local culture, I often incorporate music and literature. I’m also on hand everywhere we go to engage in conversation and to answer questions. It’s these spontaneous interactions that I love most about teaching this way. After a tour, there’s always a flurry of emails as people have questions about pictures they took or topics they’d like to pursue further. Q. How is the role of the Smithsonian Journeys Expert different from that of local guides? A. We’ll often engage a series of local guides to give our travelers the benefit of their deeper insights into specific sites, and there are also places where only local guides are allowed access with groups. Consequently, local guides are an important component of Smithsonian Journeys’ tours. But local guides generally don’t know where we’ve been on a tour already nor where we’re going next, and so they don’t really grasp the big picture of our journey. It’s up to the Smithsonian Journeys Expert who stays with the group from beginning to end to pull it together thematically into a coherent whole. My goal is to do so in a way that helps make the final experience of traveling with Smithsonian Journeys greater than its component parts. Q. Please compare your experiences of traveling with Smithsonian Journeys by land versus by sea. A. The land tours I’ve been on most recently have been for small groups and focused on a single country: Scotland, Ireland, England, and France. We generally travel by coach, exploring different cities, sites, and regions, getting to know one specific country from the inside out. Cruises, on the other hand, tend to visit more than one country and experience them from the outside in, like ancient mariners or Vikings going ashore. Tracing the journeys of ancient and medieval seafarers helps us understand connections that historically linked these areas, connections which modern political lines tend to obscure. I find that fascinating. But I also cherish the focus and camaraderie of small-group land tours, which also offer new perspectives on our ideas of the past and present. Q. What do you feel our travelers enjoy most about our tour Scotland’s Treasures? A. I would say that it’s the value of gaining a new perspective. It’s wonderful to be there: the beauty of the landscape is absolutely stunning and the sites we visit are fascinating. But the sum experience of seeing Britain and its past from a Scottish—rather than an English— perspective is what really turns peoples’ ideas upside down. As Americans, our view of British history tends to be Anglocentric: London has been the ”big dog” for so long. But it turns out that Scotland’s side of the story is very different and important to hear, too. For example, Scotland’s view of how the United Kingdom came about at the beginning of the 18th century helps explain why they’re considering breaking away from it now, three centuries later.